See Dealer for details! Price good on this unit only! Specials price is with all Factory Cash incentives and is NOT available with any special financing offers. College Grad & Military Rebates Not Included. Limited time offer. Our new vehicles sell very quickly, so call (888) 458-1293, email, or click to chat from our dealership website's homepage to get more information on this 2019 Toyota Sequoia TRD Sport or to set up an appointment for your test drive. When you set an appointment, you work with our BEST Product Specialists, you get our lowest price on the lot, and can even have this vehicle pulled up and waiting on you! See Dealer for details! Price good on this unit only! Specials price is with all Factory Cash incentives and is NOT available with any special financing offers. College Grad & Military Rebates Not Included. Limited time offer. Our new vehicles sell very quickly, so call (888) 458-1293, email, or click to chat from our dealership website's homepage to get more information on this 2018 Toyota Sequoia SR5 4WD or to set up an appointment for your test drive. When you set an appointment, you work with our BEST Product Specialists, you get our lowest price on the lot, and can even have this vehicle pulled up and waiting on you! Shoreline Mist 2019 Toyota Sequoia Platinum RWD 6-Speed Automatic Electronic i-Force 5.7L V8 DOHC VVT-i 4D Sport Utility, i-Force 5.7L V8 DOHC VVT-i, 6-Speed Automatic Electronic, RWD, Shoreline Mist, Gray Leather.Recent Arrival! This Sequoia is equipped with power windows, power locks, cruise control, Bluetooth, XM, rearview camera, navigation, heated/cooled power seats, sunroof and garage remote. Come see it today.Come to your Macon dealership with a local family touch. Get a reliable new Toyota today at our dealership, located at 4580 Riverside Drive in Macon, GA.Delivers 17 Highway MPG and 13 City MPG! This Toyota Sequoia delivers a Regular Unleaded V-8 5.7 L/346 engine powering this Automatic transmission. Window Grid Diversity Antenna, Wheels: 20 x 8 Alloy -inc: Diamond-cut finish,, Variable Intermittent Wipers w/Heated Wiper Park. *This Toyota Sequoia Comes Equipped with These Options *Valet Function, Trunk/Hatch Auto-Latch, Trip Computer, Transmission: Electronic 6-Speed Automatic, Transmission w/Driver Selectable Mode, Sequential Shift Control and Oil Cooler, Toyota Safety Sense P and Rear Cross-Traffic Alert (rcta), Tires: P275/55R20 -inc: Mud and Snow rated radials, Tailgate/Rear Door Lock Included w/Power Door Locks, Streaming Audio, Steel Spare Wheel. *Stop By Today *Come in for a quick visit at Butler Toyota Co., 4580 riverside Dr, Macon, GA 31210 to claim your Toyota Sequoia! Midnight Black 2018 Toyota Sequoia Platinum 4WD 6-Speed Automatic Electronic i-Force 5.7L V8 DOHC VVT-i Entertainment system, Exterior Parking Camera Rear, Heated front seats, Heated rear seats, Navigation System, Power Liftgate, Power moonroof, Power windows, Remote keyless entry, Ventilated front seats. *This Sequoia is equipped with power windows , power locks, cruise control, Bluetooth, XM, rear view camera, navigation, heated power seats, sunroof and garage remote. Come see it today. *Come to your Macon dealership with a local family touch. 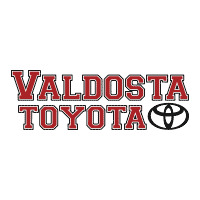 Get a reliable new Toyota today at our dealership, located at 4580 Riverside Drive in Macon, GA. Magnetic Gray 2019 Toyota Sequoia Limited RWD 6-Speed Automatic Electronic i-Force 5.7L V8 DOHC VVT-i Sequoia Limited, 4D Sport Utility, i-Force 5.7L V8 DOHC VVT-i, 6-Speed Automatic Electronic, RWD, Magnetic Gray, Graphite Leather.Recent Arrival! Midnight Black 2019 Toyota Sequoia TRD Sport 4WD 6-Speed Automatic Electronic i-Force 5.7L V8 DOHC VVT-i Sequoia TRD Sport, 4D Sport Utility, i-Force 5.7L V8 DOHC VVT-i, 6-Speed Automatic Electronic, 4WD, Midnight Black, Black Cloth. Super White 2019 Toyota Sequoia SR5 5.7L 4WD 6-Speed Automatic Electronic i-Force 5.7L V8 DOHC VVT-i Sequoia SR5 5.7L, 4D Sport Utility, i-Force 5.7L V8 DOHC VVT-i, 6-Speed Automatic Electronic, 4WD, Super White, Graphite Cloth.Recent Arrival! Super White 2019 Toyota Sequoia Limited RWD 6-Speed Automatic Electronic i-Force 5.7L V8 DOHC VVT-i Sequoia Limited, 4D Sport Utility, i-Force 5.7L V8 DOHC VVT-i, 6-Speed Automatic Electronic, RWD, Super White, Graphite Leather.Recent Arrival!